Verlingue explains the history of the family-owned French firm and shares his thoughts on buying during Brexit uncertainty, organic growth, servicing clients and heli-skiing. 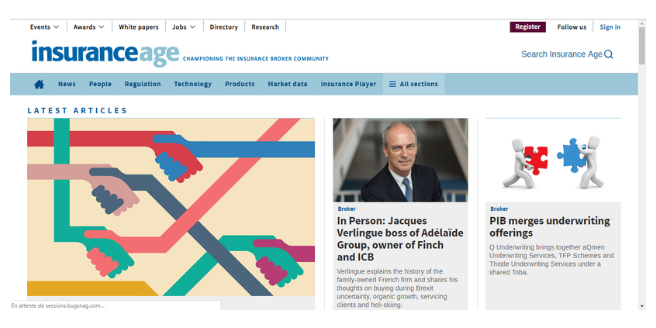 Chairman Jacques Verlingue wants to more than double the size of Adélaïde Group – the holding company of Finch Insurance Broking and ICB Group owners Verlingue, French broker Génération and InsurTech firm Coverlife – by 2022. Doing so would involve delivering more growth in five years than has been achieved in the 40 he has been with the business. It would take the family-owned French firm from €200m [£178m] in revenue to €500m. The business was founded in Quimper, North west France, in 1933 by Jacques’ grandfather Jules and in 1946, aged just 19, his father Jean-Yves inherited it. “He had nothing except a bicycle and an insurance agency,” Verlingue explains. At that time it was focused on life assurance, with, of all things, a Norwich Union Life agency. “At the end of the war, life insurance with a UK company was not a big deal but it was something,” Verlingue continues. Over the years it expanded into general insurance and Jacques joined in 1978. “As far back as I can remember my father told me ‘you will be an insurance broker’,” Verlingue says. Fast forward to 1994 and Jean-Yves retired with Jacques becoming chairman. “We are dedicated to making this company grow. It is part of our DNA,” he observes. The business had grown, but only in France. It was under Jacques’ leadership that Adélaïde expanded abroad for the first time with the acquisition of Finch in 2007. “It was clear for us from the early 1990s that our largest clients would be international,” Verlingue responds. The companies knew each other through Worldwide Broker Network, which Alec Finch had founded and Verlingue placed business through. “It gave me the opportunity to work very closely with Alec,” he explains. However there was to be an 11 year gap before the next UK deal when it bought ICB. 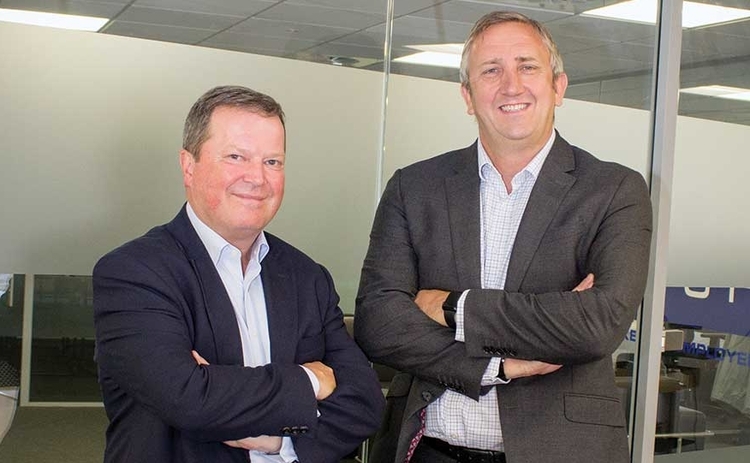 The bosses of Finch and ICB Group, Mike Latham and Neil Campling, have repeatedly stressed that the group is not a consolidator. It is a theme that Verlingue backs up. While he jokes it was “a little bit slow” to strike the second deal he lists that there was plenty going on in the interim. “That took us some time. But during the 11 years we were working on the French development – we have jumped from a regional broker to a national broker. Coverlife was created in 2014 and the Swiss acquisitions were Advantis in Zurich in 2016 and S&P Insurance Group in Lucerne in 2017. The company also expanded in 2016 setting up Generation Portugal in Lisbon in 2016. With offices in four countries it boasts 1,800 staff controlling €2bn of premium for 1.9m insureds. “We have not been inactive,” he sums up. The deal for ICB was touted by Campling as being partly driven by Brexit. Verlingue says he had no concerns about buying during a time of Brexit uncertainty and is certain of the opportunities on offer in the UK. “It is the same in Switzerland which is not part of the EU,” he points out listing that the firm has expertise in being able to deal with different markets. However, the business is not currently working on a follow-up acquisition in the UK. “To be perfectly fair we have some contacts but we have not entered into any exclusivity in the UK,” he confirms. “If we find a nice opportunity for acquisition we will consider it. So far Adélaïde has funded expansion deals with its own money and has always stayed debt free. The Verlingue family owns 100% of the group and reinvests 90% of the profits annually. He reveals that if necessary it would team up with a bank. “Considering our ambitions we are considering to borrow money from banks,” he accepts. The buck stops with him when it comes to the decision on making any purchase. While Latham and Campling are in the market and able to make recommendations, Verlingue is clear that he is “number one on acquisitions”. “I love meeting with people and understanding what they are doing,” he reports. And that future will stay in the family. The fourth generation is already involved with daughter Audrey and son Benjamin having joined the company in 2012. But that is not to say the company is a hot bed of nepotistic despotism. Managers are free to run their businesses. “There is no French guy in the UK or in Switzerland,” Verlingue offers as proof. When not pondering matters insurance, he jumps out of helicopters to go heli-skiing. The winter is “really for skiing” he declares. He most recently did it in the Rocky Mountains in Canada last year. “It is my yearly challenge because I am skiing with people younger than me who do more sport and skiing than I do,” he enthuses. Sport is a key interest but his main passions are his family and art. In addition to working on the business he is determined to stay working within it. “I still continue to deal with some of our largest clients,” he notes. Arguing: “I do the same job as Mike [Latham] and Neil [Campling]. The target of more than doubling by 2022 is not going to be easily met. Jumping out of helicopters to ski down slopes is not for the faint hearted. He is confident of success in the business sphere too and puts the probability of hitting the growth goal at not quite “120%” but certainly “95%”. “The world is changing very quickly and our clients request more from us and are right [to do so],” he maintains. It is a landscape that he sees as full of opportunity with organic growth to the fore supported where necessary by buying. The strategy is to bring a strong digital and simpler offering to clients and attract more talent to the organisation in the UK and across Europe. Verlingue is the sixth ranked broker in France and dominates the group’s figures with Adélaïde generating 30% of its turnover in the rest of Europe. 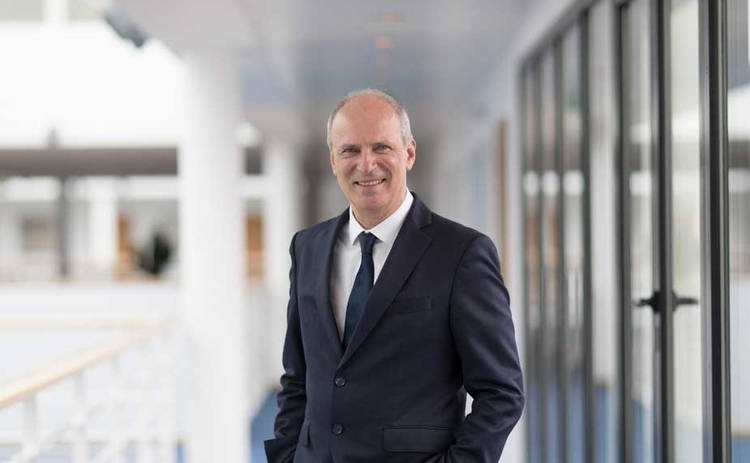 According to the chairman, to hit the €500m target the French arm will grow organically by up to 80%. “We are big believers in organic growth,” he states.